The beginning of a new relationship is a time of anticipation and excitement, as you get to know your new partner a little better the more time you spend together. Working out whether you have a future as a couple involves finding out their likes and dislikes, dreams and passions and what makes them tick. And it’s always good to have a bit of background info just to help fill in the blanks. But how much of a partner’s past do you really want to know? It’s less of a priority for some women than others. 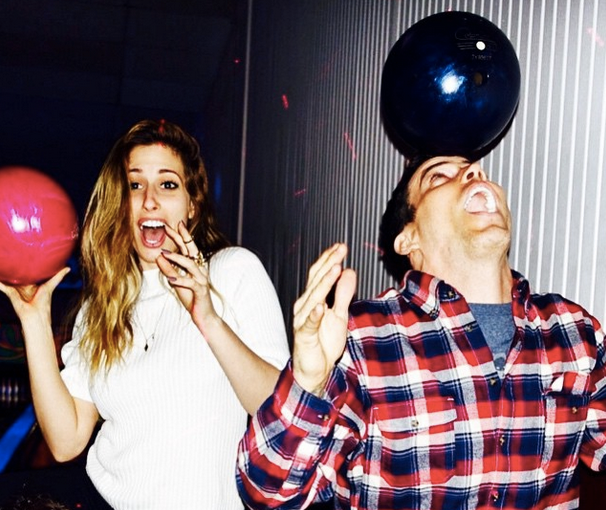 Stacey Solomon has admitted to not knowing much about her new rumoured beau Steve-O’s past — and boy, is there a lot to know. But Solomon hasn’t even seen an episode of Jackass, the show that made him famous. In any case it seems Solomon isn’t bothered about his crazy past: “What he does is irrelevant, I just like him as a person,” she gushed. This budding relationship does seem like a case of opposites attract. Which doesn’t mean it won’t work out — and we actually think they make a really cute couple. But here are six things Stacey might want to know about her bloke. You know just for a general picture of what he’s been up to in the last 20 years. 1. Steve-O — real name Stephen Glover — is a real life clown. He graduated from the Ringling Brothers and Barnum & Bailey Clown College in 1997. After graduation he worked as a clown at a flea market circus in Fort Lauderdale. 2. He stapled his scrotum to his leg during a performance at a Louisiana nightclub in 2002 and was subsequently arrested on obscenity charges. 3. In May 2003 Steve-O swallowed a cannabis-filled condom to get it past airport authorities. He later regurgitated it live on stage and used the footage in his DVD Steve-O: Out on Bail. He was arrested and jailed but came to an agreement with the authorities and was released after paying a hefty fine. 4. In July 2003 Steve-O was kicked off a Lollapalooza tour after urinating on crisps in public during a concert in Pennsylvania. 6. After a lengthy battle with drugs and alcohol Steve-O has been sober for over five years. But he still hasn’t lost his edge. In March 2014 it was announced that he would be charged with deadly misconduct after backflipping off a bridge into the San Antonio River.